Easy-to-adjust headgear that is stabilized through converging straps around and atop the head. 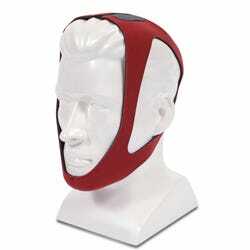 Available in five sizes to fit most any facial size. The Respironics TrueBlue CPAP Mask is the first of its kind - a Respironics nasal mask that uses the best of a gel and an air-sealing cushion to provide the comfort of a gel mask and the strong seal of an air cushion in one easy-to-wear design. The first mask to use AutoSeal technology, the Respironics TrueBlue utilizes the proven Respironics blue gel cushion in combination with a patented silicone air membrane that inflates and seals when air hits the mask. 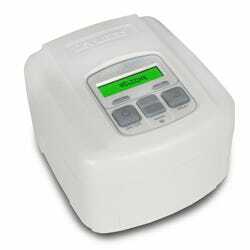 For CPAP users who've had a difficult time leaving behind their favorite ComfortGel or ProfileLite gel mask, the Respironics TrueBlue might become a new favorite. 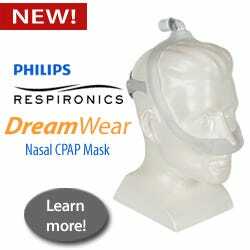 Improving upon very popular mask designs of the past, Respironics has now created a lightweight, sleekly designed, easy-to-use, and very effective nasal mask that works well for many different types of CPAP users. Available in five comfortable sizes (that fit a wide range of patients), the Respironics TrueBlue is designed to deliver of high degree of comfort, stability, and freedom of movement with minimal adjustments or leaks. 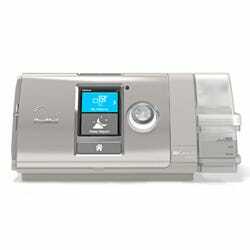 Designed to the highest standards - yours - the TrueBlue is Respironics' newest gold standard in nasal CPAP therapy. 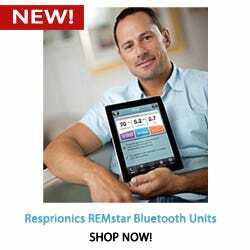 Have always favoured Respironics products, as for me they are consistent quality and well priced. Will use no other masks than the Blue Gel series. 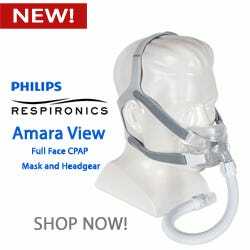 Recently tried a slight upgrade to the Respironics TrueBlue mask, and as stated in info. preview, it has now become my favorite mask! The sealing of the xtra membrane fo me, garentees a perfect Seal. This all at a cost of well under 1/2 $ cost of comparable competitors masks.